This story is like all family histories, an incomplete one . What has been found so far is an extraordinary and unexpected collection of facts . There are several references to the Bennetts watch and clockmaking firm being in existence as early as 1765 but unfortunately this headline on the Sir John Bennett notepaper does not say " of Cheapside " or of anywhere else . However , the discovery of a list of property leasehold and freehold owned by John Bennett senr, shows that he tenanted a property in Greenwich High St but that he owned freehold the Banks at Mountfield . This page came to light with other papers concerning the court case between Sir John and the widow of George Weedon Bennett and her new husband Mr Jenkins . Had it not been for our Australian cousins knowledge of the Bennett v Jenkins court cases we might never have discovered this list of property .. The earliest watchmaker found is John Bennett ?1760 - ?1830 who married Mary ? . This couple baptised a single child , John ,( this seems unlikely) in St Alphage , Greenwich in 1786 . This first John and his parents leave no paper trail in Greenwich until after he himself marries in 1813 and then dies in 1828 aged 42 . By this time he has become Mr John Bennett and although buried in St Margaret`s Lee , he has a plain plaque on the wall of St Alphage church, Greenwich , which says that he was a churchwarden and died much lamented . A painstaking search by Greenwich Heritage Centre staff , showed an entry in the Land Tax Assessments of 1765 , of a "Messrs Bennett and co " in the High Street , Greenwich . There is no further detail . So perhaps this is John senr and maybe George Bennett . Messrs would indicate relatives such as brothers but not the usual Bennett and son. His short will leaves all his property to his wife Elizabeth Sinnock Bennett for the benefit of all his children . These are John b 1814 ,.George Weedon b 1816 , Abraham b 1818, Elizabeth b 1819 and William Cox b 1820 . Sadly Abraham died at a few days old in 1818 and is also buried in Lee . And the only daughter Elizabeth married a William Gilbert in Bread St , in 1837 , died young but left a single son , Alfred . Elizabeth is with her sons John and William in the 1841 census at Stockwell St in business as a watch and clockmaker . George is living at 9 Osborne Place in Blackheath in the 1841 and is described as a jeweller . However to go back a few years to the death of John Bennett , in 1828 his surviving children are all very young . John junr is just 15 and at Colfe`s Grammar School where he is being educated with the help of the Spectacle Makers Company , he was appointed head boy in 1831 and he later claimed that he was being thought of as a future headmaster of the school for which job he would have to have taken Holy Orders. : George and William are 12 and 8 yrs old so both very unlikely to be assisting with the watch and clockmaking business . Copyright protected 2003 George Weedon Bennett , c 1856 . Elizabeth , John`s widow , has some income from the house in Hastings left to her by her uncle Richard Sinnock and from another property left her by her grandfather John Williams . The shop in Stockwell St continued in business despite the loss of John senr. And this can only be because John senr had competent and loyal workmen to assist his widow and sons . And maybe some help was given to the widow Elizabeth by her husband`s trustees who were known to her . The first of these was George Smith , wine merchant of Park Row, Greenwich and the second , George Sargent , linen draper of Battle , Sussex ..
Greenwich is a very busy place by the late 18th C and Bennett is a very common name . There is a family of George Bennett, milkman . His first son is also John bapt St Alphage 1786 by his first wife Susanna Wilks . By his second wife Elizabeth Suter who he married in Deptford later in 1786 , he has Weeden Hall Bennett bapt and buried 1790, William Hull Bennett 1794 and John Alexander Bennett bapt 1797 buried 1800 as well as three daughters in 1787, 1792 and 1803 . ( William Hull Bennett survived to the 1851 census in which he is described as 58, and a carpenter , with wife Anne, and two daughters Sarah Ann and Mary Ann and a niece Sarah E Horsley , 20 , b Shadwell .) . There is also a George Bennett, watchmaker of Greenwich , who is working according to Baillie and Loomis between 1802 - 1811 ; he is appointed Borsholder of Greenwich ( petty constable) in 1801/2 and he is perhaps the same George Bennett who apprentices his son John , no baptism found yet , to Oswald Strong , of the Tylers and Bricklayers Company in 1800 . An apprentice would be between 10 and 15 years old perhaps , and so this John son of George might have been born circa 1785 -90 . Whether he is connected to our John Bennett , watchmaker of Greenwich is not yet known. Nor is there any connection yet between the family of George Bennett milkman who names one of his sons Weeden Hall Bennett, our John Bennett who names one of his sons , George Weedon Bennett. And in Deptford Thomas and Martha Bennett bapt George Freeland Bennett in 1786. Freeland is an unusual name and found in East Sussec as well as in Greenwich where they were linen drapers. There is little known about John Bennett 1786-1828 , except that he was a silversmith and watchmaker , and that he successfully reduced the rates in his parish of St Alphage during his time as churchwarden . He also seems to have been a man of some means beyond the income suggested by his two trades . He purchased the remainder of the lease of Wricklemarsh Park house, Blackheath from the estate of the late Capt Thomas Larkins in November 1825 and the development of this estate resulted in it being renamed the Bennett Park estate . It remains named thus today and another 99 year lease was sold to the Bennetts in 1860 for its further development . 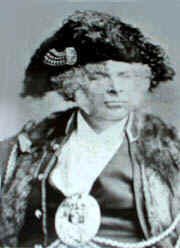 John`s wife Elizabeth Sinnock Bennett , nee Williams, is easy to trace . She is the daughter of John Williams of St Clements , Hastings, builder , and the niece of Richard Sinnock, gent , of Battle who was a remarkable dissenting minister . Uncle Richard also names John Bennett her husband and John Williams her brother as his executors . There are several Sussex connections , though these may only be coincidental, but there is in Greenwich in the same 1790 - 1810 period and later in the 1841 census a family of linen drapers called Trill whose name is also unusual and found in East Sussex. Several Trills starting with John Trill of Buxted , who married Ann Bennett dau of George Bennett of Warbleton in the late 17th C and then in the late 19th C Elizabeth Bennett dau of George Bennett of Beckley married James Trill of Dallington . Is it coincidence that Thomas Trill , linen draper b c 1800 is living in Tranquil Vale a few doors away from George Weedon Bennett . Elizabeth Bennett seems to have remained in her shop until her retirement in 1860 when she moved to the Circus , Greenwich . She died in 1864 leaving her estate in four parts to her three sons and her grandson , son of her late daughter Elizabeth , Alfred Gilbert . However by 1864 her son George Weedon was already dead himself and so Elizabeth`s will is administered by her third son , the one who took over the Greenwich business, William Cox Bennett . By the mid 1840s John Bennett , the eldest son, was in business in 65 Cheapside and his brothers were running the Greenwich and Blackheath businesses and presumably the Bennett Park estate development . 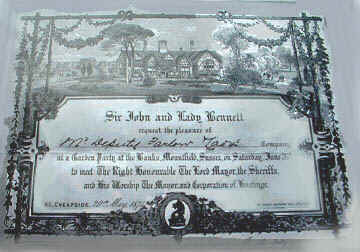 John married Agnes dau of John Wilson , builder of St Paul`s Deptford in 1843 and they went on to have three children , John Mountfield , Juliet (who married in 1873 Richard Douglas Powell , KCVO , Physician in Ordinary to Queen Victoria, Edward Vll and George V )and Alice ( the latter became the grandmother of Sir Christopher Cockerell who pioneered the hovercraft ). John Mountfield their only son is named after the village in East Sussex that John Bennett claimed all his long life , was the family home. This son emigrated to New Zealand and his descendants live there today . This John Bennett had such an illustrious career that he is added separately at the end of this narrative . 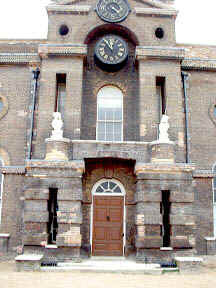 George Weedon Bennett bapt in St Alphage, Greenwich in 1816 is in Osborne Place in 1841 as a watchmaker and jeweller . Although both his brothers attended recorded schools , Colfe`s and Rev. Wm. Smithers, no school is known for George Weedon Bennett . 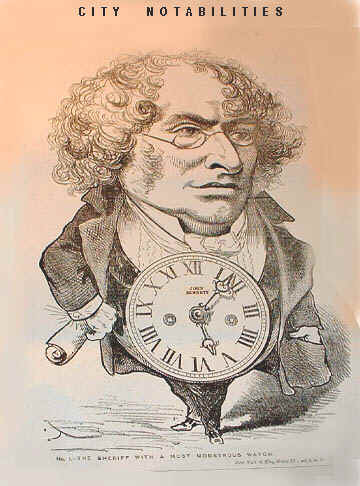 He seems to have been a bookish person and more interested in the the arts and literature than watch and clockmaking . It took him until the age of 34 to marry 19 year old Sarah Ann Willmott . They were married in March 1850 at Lee . The witnesses to this marriage were George`s mother Elizabeth Sinnock Bennett and a E Maria Sophia Bennett, and on Sarah Ann`s side her father George Willmott , builder . 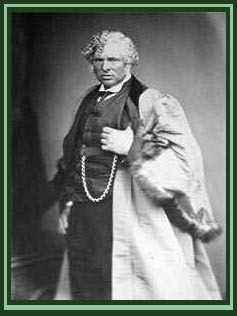 William Cox Bennett , George`s younger brother , married Emma Sophia Willson in Southwark in 1845 . The Willmotts are worth a brief mention . George the father of Sarah Ann was a builder in Greenwich and Blackheath , and its possible that he worked on some of the new development of the Bennett Park estate and that George Weedon met his future bride through his dealings with her father . George Willmott was born in Selling , Kent and married Fanny Apsley in St Alphage in 1831 and their daughter Sarah Ann was baptised at Lee in 1832 . George and his family are in Tranquil place in 1851 and with them is his married brother Henry who is a gardener . George died in 1859 and left an estate valued at £2,000 . 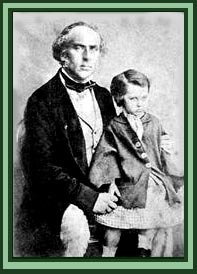 George Weedon and Sarah Ann have George Williams Bennett a year and a day after their marriage in March 1851 and their household increases by a monthly nurse and a nursemaid . Between 1851 and 1861 George became Honorary Secretary to the Blackheath Society for the Acquisition and Diffusion of Useful Knowledge and it offered libraries , popular reading rooms and lectures and further education . He also founded the Blackheath Railway Timekeeper , New Crystal Palace Gazette and Kent, Surrey and Sussex Advertiser . This gives us a tiny glimpse of his personality . He writes that his paper will contain " Things worth thinking of : and Jokes etc. : Selections and Remarks on the Inventions and Literature of the Day : Gardening for the Month and all communications must be addressed to Mr G W Bennett , watchmaker, jeweller and silversmith , 9 Osborne Place, Blackheath ."